. . . is to bring quality personalized education to children throughout the country with whatever educational resources best engage them and promote active learners. To that end, we provide engaging educational materials that allow all students to experience learning success and become life-long contributing members of our communities. We support educators, parents and students by offering learning resources that satisfy students with differentiated learning styles. This increases their academic success and reduces student dropout rates. It is our eTAP commitment to continually follow and respond to newly developing learning research and technology trends, improving our product to always offer the most powerful curriculum.
. . . stems from a belief that quality education is a society's greatest asset, children and educators will always be our greatest hope, and our children's education is the cornerstone of our country's future. 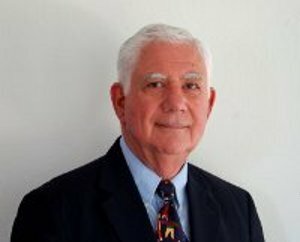 Blaise J. Subbiondo started eTAP, Inc. in 2000 as an educational resource to assist Students, Educators and Parents succeed in their education objectives. eTAP is designed to increase the success of students from pre-kindergarten through high school. The curriculum is assessment-based learning, and includes instruction, practice exercises and pretest, practice and post tests for each unit. An extensive collection of relevant learning resources are directly linked to lessons, including audio/video tutorials, supporting text and video content, and interactive activities to motivate and engage students. In addition to those looking for a complete online K-12 curriculum, eTAP is ideal for allowing students to complete their understanding of new instruction, teachers who want supplemental resources, and parents seeking tutoring help for their children. Students have used eTAP successfully for Homeschooling, Classroom Instruction, Independent Study and Special Education. It is also used for students with English as Second Language, High School standardized test preparation, after-school remedial programs, and many other, with truly amazing results. Please read our Success Stories for more information and ideas. eTAP, Inc. is a non-profit 501(c)(3) and provides Free or Reduced Membership Grants to those with incomes below the federal poverty guideline levels. Please email requests for financial assistance to admin@etap.org.